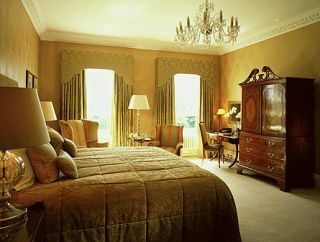 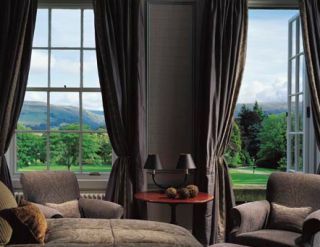 The Gleneagles Hotel is, perhaps, the ultimate sporting resort in Great Britain. 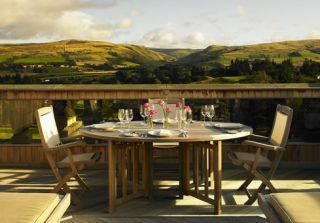 In addition to its three great golf courses, guests at Gleneagles can participate in numerous other activities including horseback riding, mountain biking, tennis, squash, shooting, fishing and even falconry! 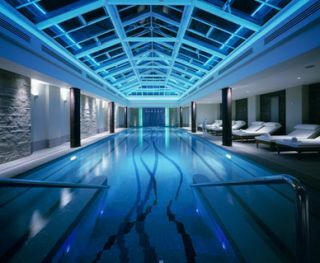 The hotel spa features two swimming pools, a sauna, solarium and Jacuzzi. 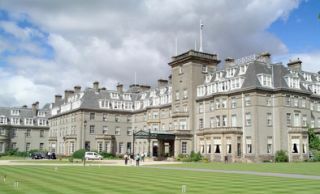 Three restaurants offer excellent dining, while lighter meals are available in the Gleneagles' several bars. 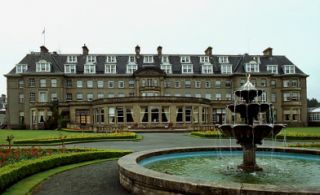 Although it is a large complex (an 850 acre estate with over 200 guestrooms), the atmosphere at Gleneagles is warm and relaxed, thanks to its friendly, courteous, staff.